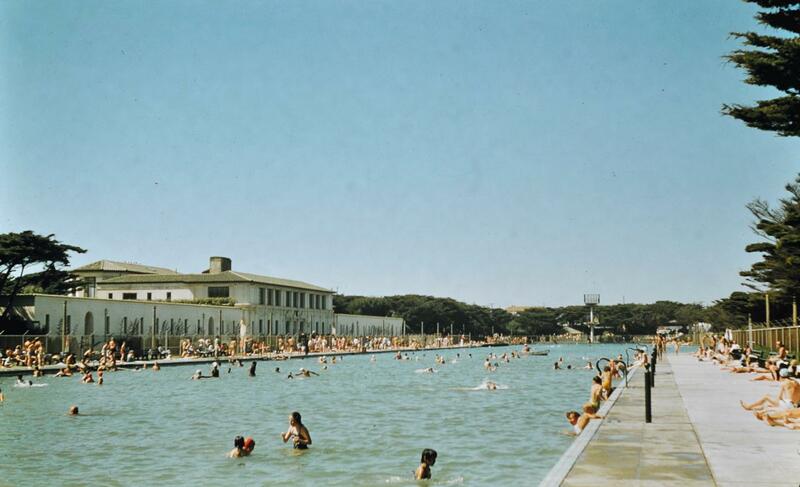 Fleishhacker Pool (now gone) was a city block long and featured high diving boards at the deep (far) end. This shot was taken on one of those rare sunny warm days near the Pacific Ocean. This digital copy was scanned from a color photographic print.